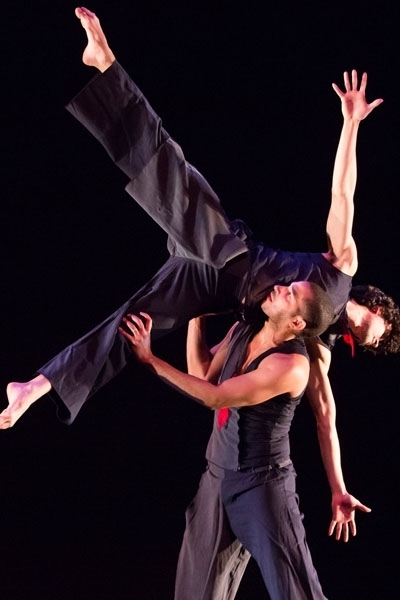 Founded in 1981, CDI/Concert Dance Inc is the official contemporary dance company and an Artist In-Residence of the Ruth Page Center for the Arts. CDI creates and presents contemporary works that evolve from a choreographic collective under the artistic direction of Emmy Award-nominated choreographer, Venetia Stifler, often using live music, video and other media in its performances. This approach to dance and choreography drives the company’s artistic vision and sets an example of artistic collaboration. CDI has evolved from a repertory company into a dance collective and artistic incubator; a unique community of collaborators within a growing organism that changes with every new dance that is made. The choreography that is currently presented by CDI comes out of this creative process. Because the dancers are both highly trained technically and active in the development of the movement vocabulary, their skills of improvisation and ability to create visual imagery results in work that is not only of the highest caliber, but also artistically proficient and emotionally satisfying. The CDI’s rich performance history over the past 30+ years is testament to its presentation and promotion of American Contemporary dance at the local, state, national and international levels. In 1999, CDI toured to Edinburgh and performed as part of the prestigious Edinburgh Fringe Festival. The company was well received and highlighted in the press as one of the “best of the fest.” In 2003 Ms. Stifler was commissioned by the American Composer’s Forum to collaborate with a composer in the creation of a new work to be premiered that year. Also in 2003, the Ravinia Festival commissioned Ms. Stifler to create “Aftermath: The Dance” to music by renowned composer Ned Rorem. This commission by the Ravinia Festival marked the beginning of an on-going relationship for CDI in the creation of new dances that have premiered each summer at Ravinia since 2003. In 2009, CDI was again commissioned by Ravinia for a new dance that was presented as part of their year-long Abraham Lincoln Bicentennial Celebration. “The Better Angels of Our Nature” featured the music of Lawrence Dillon, with spoken word borrowed from Lincoln’s personal letters. The Lincoln Trio, a piano trio, performed live and Welz Kauffman, Ravinia President/CEO, narrated. During its 30th Anniversary performance season in 2011, the Chicago Tribune noted that “Artistic Director Venetia Stifler and her CDI/Concert Dance Inc are marking 30 years on the dance scene – an impressive achievement, all the more so in an art famous for its casualties.” TimeOut Chicago in their review of the performances enthused “At the start of its fourth decade, Venetia Stifler’s collaborative finds balance between experience and spontaneity. If the last and newest work on its triple bill is any indication, CDI/Concert Dance Inc is entering its thirties with experience and spontaneity in good balance.” The 2011 performances at the Ravinia Festival also celebrated CDI’s 30th Anniversary Season with a retrospective of the dances commissioned by Ravinia. Additionally, CDI presented a world premiere, “A Soul Enlightened,” to the music of Franz Liszt that featured live accompaniment by Mezzo Soprano Tracy Watson and pianist Mikhail Yanovitsky. From 2004-2009 CDI has also performed for JTAMS Productions in Jim Thorpe, Pennsylvania at the historic Mauch Chunk Opera House. This summer residency has created a number of new choreography, the most significant being a work relating to the coal mining history of the region. “The Day of the Rope,” a stirring dance conveying the story of the sometimes-violent Irish immigrant group known as the Molly McGuires who fought for labor reforms in 19th century America premiered in Pennsylvania in 2005. The singing of Kathy Cowen, nationally renowned singer of traditional Irish ballads, accompanies the piece and lends a powerful infusion of authenticity. Ms. Stifler’s re-envisioned production of Ruth Page’s groundbreaking 1947 ballet cartoon, “Billy Sunday” came alive again in 2007 with several stage productions and in the PBS documentary special produced by HMS Media. A two-year project, “Billy Sunday” not only brought this masterpiece work to new audiences, but also garnered several Emmy nominations from The National Academy of Television Arts & Sciences. Guest Artist at Northeastern Illinois University's Student Dance Performance. Original choreography presented by faculty and students of the Dance Program and Repertory Dance Ensemble. World Premiere of " The Chicago Project: Future Present"
Every aspect of the choreography is truly satisfying. Artistic Director Venetia Stifler continues to push the creative button of CDI.